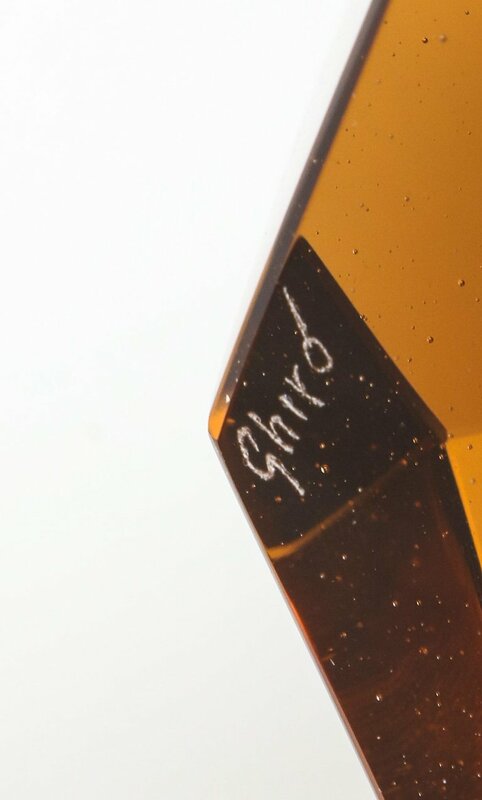 Ghiro Studio designs, develops and produces works and creations in glass, creations that do not mark the time in which they are produced. Each piece is painstakingly hand-cut and formed to precise standards. Sold individually or as a group. The measurements indicated are an average for each piece. H 2.5 in. x W 4 in. x D 3.5 in.